what’s happening … there, in the background? Here’s the next image from the book we found recently in the CAA library, which contains a fabulous collection of mid-nineteenth-century photos of Parisian turnouts. 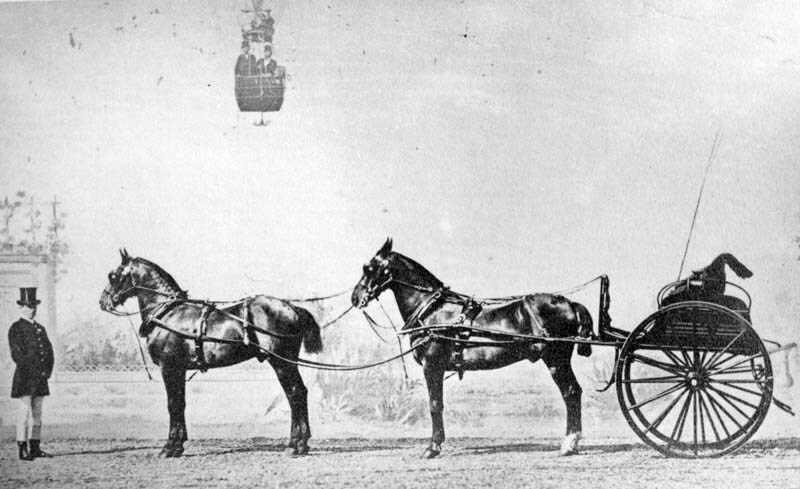 Is that the driver of this tandem, floating over in a hot-air balloon to go for a drive?? !